The website operated by the Department of Canadian Heritage routinely ignores the Government's standards for website design. 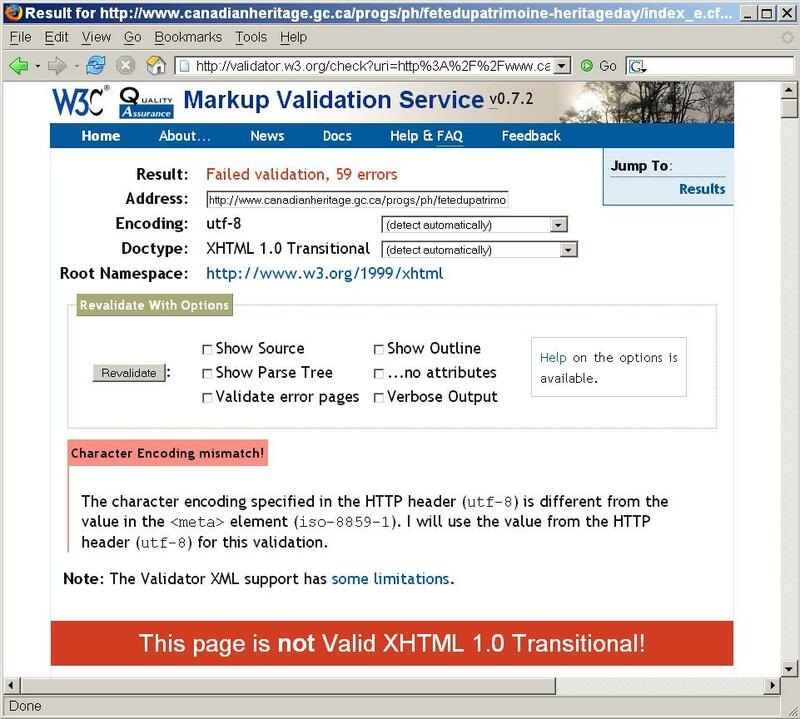 Failed validation report: Heritage Day page. For a full-size view, click on the image.